BIRMINGHAM, Ala. – University of Alabama at Birmingham researchers have identified a therapeutic target to prevent or delay heart failure from pressure overload of the heart, and a potential biomarker for the same. They say their animal studies carry clinical and translational potential. 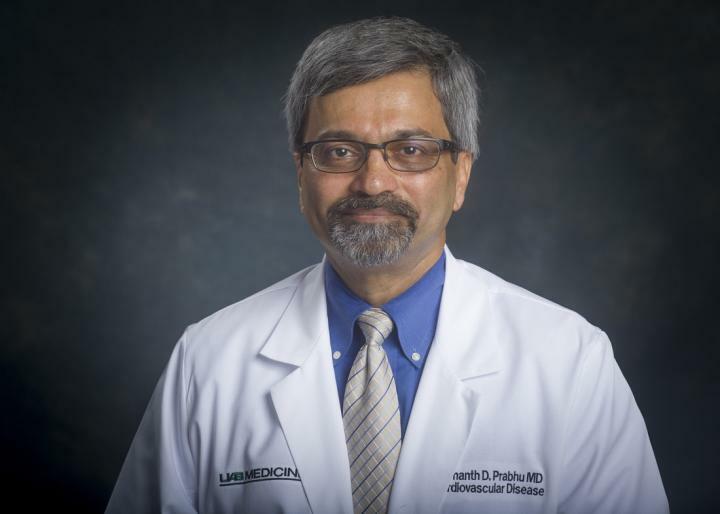 In a study published in the journal JACC: Basic to Translational Science, Sumanth Prabhu, M.D., and colleagues found that preventing the early infiltration of CCR2+ macrophages into the heart, after experimental pressure overload in a mouse model, significantly lessened the heart's enlargement and reduced pumping ability that leads to later heart failure. Thus, this infiltration is a required step in the path toward heart failure. "Taken together, these data indicate that blood monocyte-derived macrophages infiltrating the heart early after pressure overload are indispensable for the sustained T-cell activation that underlies remodeling progression and the transition to heart failure," the researchers concluded. Co-authors with Prabhu on the paper, "CCR2+ monocyte-derived infiltrating macrophages are required for adverse cardiac remodeling during pressure overload," are Bindiya Patel, Ph.D., Shyam S. Bansal, Ph.D., Mohamed Ameen Ismahil, Ph.D., Tariq Hamid, Ph.D., and Gregg Rokosh, Ph.D., UAB Department of Medicine, Division of Cardiovascular Disease, and Comprehensive Cardiovascular Center; and Matthias Mack, M.D., University Hospital Regensburg, Regensburg, Germany.